For $65 you will get a workbook to go through that will cover the nap information including five of the main sleep coaching techniques for you to work with. Then for two weeks, I will go LIVE in the private group to encourage and answer any questions that you have. These live group sessions will be available to view during the two-week course. We will be creating a community of families who want to help solve their nap issues and working alongside and supporting each other, as we all adventure through this time. "At 4.5 months old, my son would only be nursed or rocked to sleep for naps and at bedtime. His naps only lasted 30 minutes max. After working with Hannah and Kate in the Naps 101 Group, my little guy now falls asleep on his own and takes full naps! I was so relieved when he accomplished his first 2.5-hour nap. I am so thankful for A to Z Sleep Solutions. I felt so comforted and supported through the entire process, and I knew my son was in safe and capable hands. He is so much happier throughout the day because he is getting the sleep he needs. My husband and I finally have our nights back and I can finally get chores and relaxing done during the day. Thank you, Hannah and Kate!" "A to Z Sleep Solutions is amazing and 110% knows their stuff! My girl wasn’t the best napper so I did the Naps 101 program. With Their guidance, within a few short days, my 8-month-old was putting herself to sleep and sleeping for 1-2+ hours for naps instead of her usual 30-45 minutes. In turn, it helped improve her night sleep as well! I also learned so much about baby sleep in general. So now I feel confident about getting my girl to sleep for naps and bedtime and getting her to sleep isn’t a big ordeal anymore, just a simple routine and done! 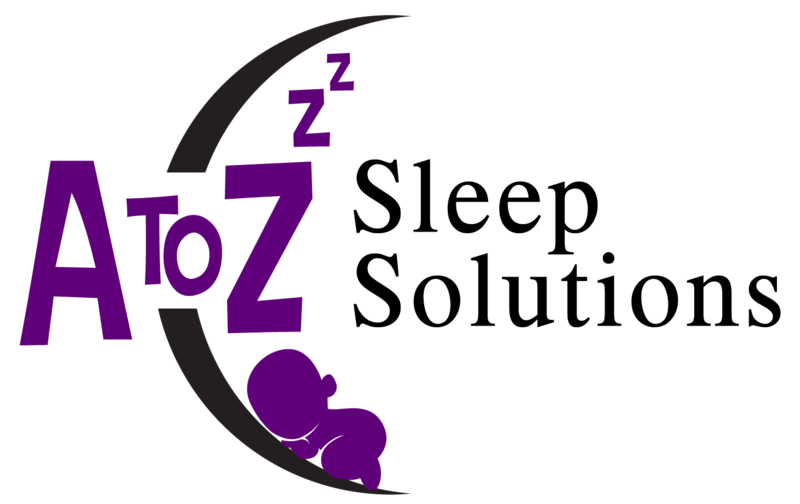 I fully recommend using A to Z Sleep Solutions for any of their programs!"